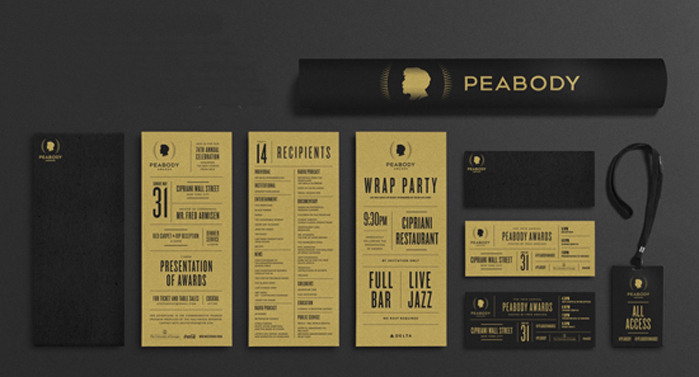 The respected but low-profile Peabody Awards held its first red carpet gala this year, as part of a new branding strategy and visual identity program for the institution by entertainment branding agency loyalkaspar. 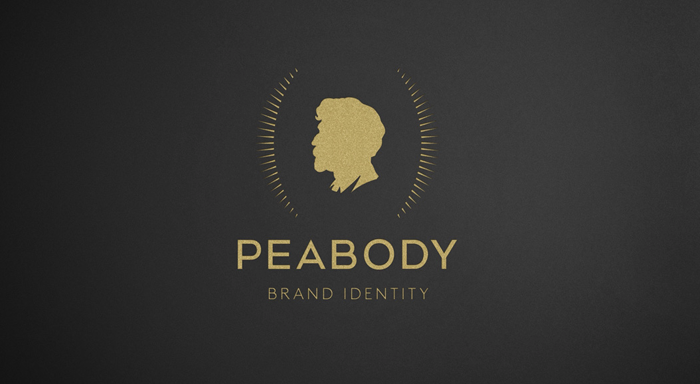 Rooted in the tagline Stories that Matter the Peabody strategy and identity seeks to raise public awareness of Peabody while positioning the brand as one that invigorates people, culture, and society through the transformative power of stories. Loyalkaspar’s strategy establishes Peabody as a year-round brand experience with the signature annual awards show as the pinnacle event. The prestigious George Foster Peabody Awards is administered by the University of Georgia’s Henry W. Grady College of Journalism and Mass Communication. 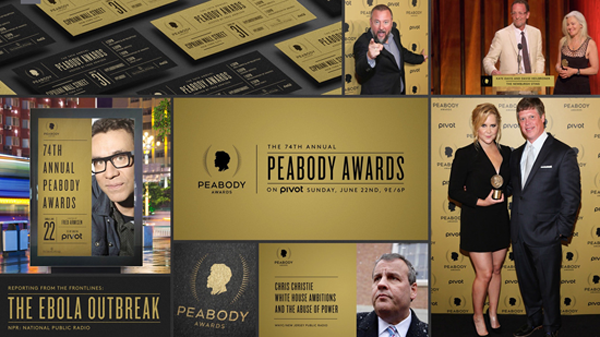 “While the Peabody Awards are highly respected in the entertainment industry, the general public’s awareness of Peabody as an organization was low,” says loyalkaspar Creative Director Richard Eng. 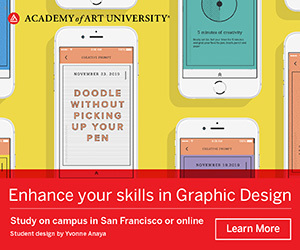 “They’re a modern entity that embraces innovation and stories on a much larger scale – from radio and television to symposiums, talks and digital platforms – so our brand strategy aspires to convey that.” The project includes a revamped logo, a 2D graphic of Peabody’s silhouette accented with bursts that call to mind symbolic laurels. 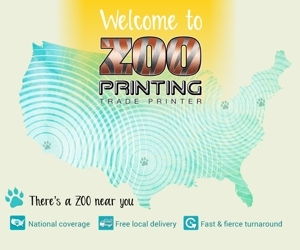 A custom sans serif font and an understated color palette underscore the message. 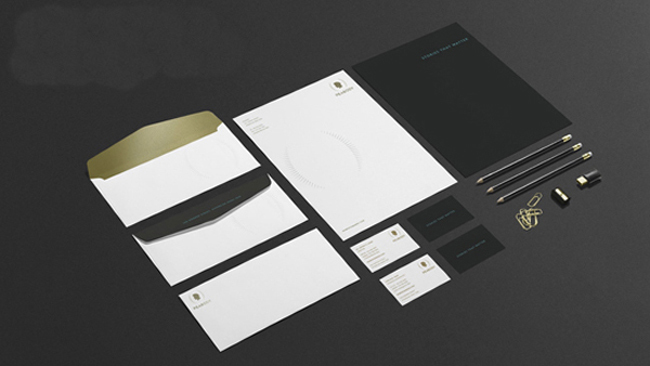 Loyalkaspar also designed a brand communication guide, print collateral, business cards, and digital templates. And it all culminated at a red carpet 74th annual Peabody Awards, hosted by former recipient Fred Armisen and for which loyalkaspar produced the on-air awards package for Pivot’s prime-time broadcast. Creative credits include: Principal/President David Herbruck, Principal/CCO Beat Baudenbacher, Executive Creative Director Richard Eng, Creative Director Martin Peel, Head of Production Jessica Scharer, Senior Producer Susan Harris, Writer/Strategist Mika Saulitis, Senior Designer J Collins, Partner/Chief Development Officer Robert Blatchford. Dr. Jeffrey P. Jones is Peabody’s Director.